If you are a fan of nature, you can experience the charm of European garden without having to fly to Europe. 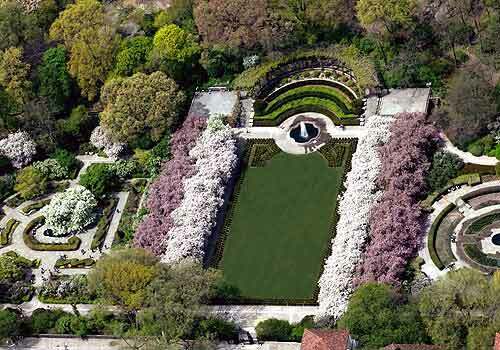 Visit the Conservatory Garden. 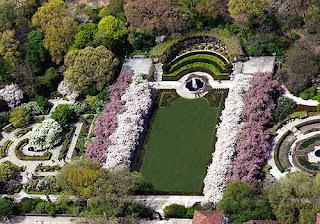 This six-acre piece of garden not only offers English, Italian and French style, but also has a variety of flowers, walkways, neatly trimmed hedges, and fountains. When it comes to central park tours, you can be sure to take some of the best photos. You can choose to walk alone or with some guides. 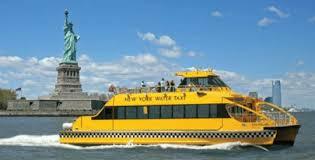 With only $12, you can take a romantic boat ride around the lake or let guides do the work for you at $30 an hour. While boat riding, you can take a look at the full view of the lake. Besides, at Central Park Boathouse Restaurant you can settle for a nice meal of fish, salads, crab cakes, or a mixture of wine. If your family love watching animals they will definitely love the zoo also called the wildlife centre. Here, they will see animals such as penguins, sea lions, polar bears, and a variety of birds. Also, they can explore a section that is meant specifically for them where they can watch goats, cows, and sheep go up close. In fact, if you are an animal lover you will never be disappointed. It’s also the best place to visit during your central park tours. 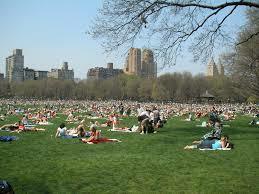 On warm days, you can visit Sheep Meadow. Located along the southwestern edge of the park, this bucolic 15-acre field is a sight to behold. Since there are always thousands of scantily dressed locals in the area, if you want to secure a shaded spot it’s recommended that you arrive at 11 in the morning when the field is still open. As a tourist, you can also pick this spot for picnics. You can enjoy sunbathing in this patch of greenery where sheep used to graze many years back. 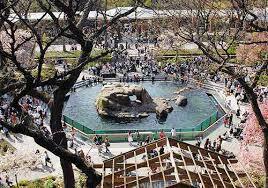 It’s among the best attractions in Central Park. Well, if you looking for the best tourist place in New York, then Central Park is the most suitable solution. You will not only find a metropolitan museum and zoo but also a vibrant place with beautiful sight views.